The idea that I insulted anyone during this conference is ludicrous. In fact, I answered the man’s question directly, but he failed to follow-up and chose to move on to whether I teach my students that Lee, Jackson, and Stuart are great men. It was clear to my co-panelists as well as others in the audience that the question was not meant to engage me in a serious discussion, but was meant to dismiss me out of hand. Perhaps Richard should inquire as to why he failed to ask a further question. Mr. Williams, what a well written post. It is true, as Mr. Levin said, that a “sense of place” can function as a liability but it is amusing that he does not wish to consider that those words could apply to himself. Thank you and you are so right. Kevin’s “sense of place” – the North – is a liability when it comes to his biases against Confederate heritage and history. Both assume quite a bit about me in concluding that I lack a “sense of place” or that my background clouds my understanding of Confederate history. Nothing could be further from the truth. The study of history has taken me all over this beautiful state. It’s introduced me to a wide range of Virginians and my many visits to state archival repositories has given me an intimate understanding of its rich past. I feel more connected to Virginia than all the other places I’ve lived including the place where I was raised. I’ve contributed to its written history more than once and have even been recognized for it by the Virginia Historical Society. What exactly does it mean to be “biased against Confederate heritage/history”? Would they say the same thing about Robert Moore and Andy Hall, both of who blog about the Civil War and the Confederacy specifically and are native to the South? Is there really only one legitimate interpretation of the South? How do their comments reflect on the fact that scores of people who are native to Virginia and the rest of the South read and enjoy this blog as well as my published work? Is there something wrong with these folks? If I were somehow to write about the history of the Confederacy in the way that proved satisfactory to Richard and others would my place of birth be set aside? 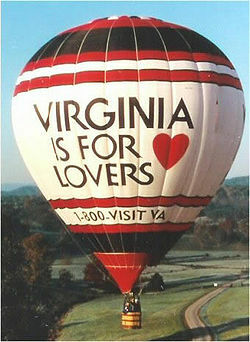 Finally, does my place of birth cloud my understanding of any other period in Virginia’s history. Can I write or blog about any other aspect of this rich story without having to worry about it or is it just Lee, Jackson, and Stuart that concern them? I could go on, but what’s the point. Regardless of whether they acknowledge it or not, it’s my strong sense of place and love for this state’s rich history that keeps me connected to it and works to more firmly ground me in the present. In the end, Richard has done little more than follow in the footsteps of the individual he accuses me of insulting. Kevin-On that basis, your interrogator and Mr. Williams would have to reject the work of Robert K. Krick who is so fond of the Confederacy that he named his sons after Robert E. Lee and William Barksdale, since Krick was born in California. No, I assume that Krick would get an exemption owing to his particular focus. You see, it has nothing to do with place of birth and has everything to do with whether your view passes the RW test. If I may offer a very minor correction, RKK was born in – fasten your seat belts – New Jersey, and raised in Michigan and California. Mike-My oldest sister always maintained that the stork got lost on its way to deliver her since that would be the only reasonable (to he 🙂 ) explanation of how she was born in rural SW Pennsylvania instead of New York City. Perhaps, RKK feels the same about having been born and at least partially raised on the “wrong” side of the Mason-Dixon Line. The people memorialized in statues on Monument Avenue in Richmond are all native Virginians, so RKK needn’t worry. Longstreet’s birth in South Carolina and his youthful associations with Georgia and Alabama don’t add up to a sufficient “sense of place” for him ever to be considered for a statue on Monument Avenue. Than again I wouldn’t go too far to press his logic. Nothing that Richard quotes in his post implies a view that to appreciate and understand a region’s or place’s past one has to be born there. It’s about controlling the narrative and attacking heretics. Its not rational. One of the things that historians learn, if they’re taught properly, is that the past is not the present, and very little is passed down whole and unchanged even when it’s called a tradition. I suppose I’m the wrong person to be part of this discussion, because I’m professionally bound to the proposition that it’s possible to study, analyze, understand and explain histories other than one’s own. That said, my experience is that too much faith in one’s own intuitive understanding of a present culture can be a great liability in effectively studying the past: filling in the gaps and filtering the evidence with an unquestioned ideology means making assumptions rather than asking questions. Does that cut both ways? Perhaps, but when an outsider historian presents evidence, and an insider dismisses it with intuition, a responsible observer should have no question who is the more reliable source. As Kevin noted on twitter, Mr Williams acknowledged the point, but remains convinced that experience trumps book learning. The fact is, if local knowledge was a reliable tool beyond recent history, historians would take it more seriously. We’re neither stupid, nor evil, most of us. The other thing that Richard’s point fails to acknowledge is the amount of mobility that has always defined the South. It’s as if the first wave came in and never moved again. The South has never been cut off from the rest of the country. At different times waves of people have moved out of the South and others have moved in as well as within the region itself. The claim assumes a uniformity throughout the South that is incredibly naive in terms of its history and sociology. I guess we could take this to the extreme and suggest that only people living in Mississippi can write its history or perhaps we should reduce it down to county as well. Mr. Levin, I am the person who asked the particular question of you last Tuesday evening at Southside Virginia Community College during the Sesqicentenial Forum. My reason for asking the question was not to discredit you in any way because of where you were born, but instead out of curiosity. The extremely hesitant answer I received revealed an awful lot to me. When you finally revealed the place of your birth, you offered absolutely no sense of pride connected to the area or state. Over the years I have found this to be somewhat typical of northerners. Mind you, I’m not attempting to discredit you in any way, however this, (to me), points out one of the particular differences in the northern & Southern cultures. Now if you would be so kind as not to respond to this statement in an acusitory manor of me laying a negative blanket across all people of northern descent, I would greatly appreciate it. You see, I’m not attempting to condem anyone form the north over this issue, but instead just pointing out one of the key differences of the two peoples. To compare, just reflect back to that evening on what Mr. Rawles had to say about Southampton County, Virginia and its rich history in his own introduction of himself. And an even more resounding sense of pride came from Mrs. Coleman during her self-introduction about the vast history of the Williamsburg, Virginia area where she was raised. As for my next question to you that evening; If you can teach your students all about the controversy of the Arthur Ashe statue on Monument Ave, you could, at the very least, find something nice to say about Lee, Jackson & Stuart! Thank you for taking the time to comment. If my answer was hesitant it was because the intent of the question was clear to me. I answered your question and yet you chose not to pursue it further. To suggest that I have no pride or that northerners generally have no pride is incredibly naive and suggests that you have not traveled much in that region. Again, you suggest that you are not discrediting me, but at the same time you imply a great deal that is simply false. You are correct in noting that I am not as attached to my home as Mr. Rawls and Ms. Coleman, but that it more a reflection of my personal background and should not be used in an “accusatory manner” to “lay a negative blanket across all people of northern descent.” What I have done is grown to love my new home through the serious study of history. Doesn’t that show that northerners are capable of such an identification? Given your points, isn’t this something to celebrate? I am still not sure what you are trying to ask re: your last point. As I stated on Tuesday, my role is not to teach my students who to respect and who to condemn. My job is to give them the analytical tools to make up their own minds. Whether the Arthur Ashe monument is appropriate is up to each individual as well as their specific interpretation of Lee, Jackson, and Stuart. I honestly do not approach the study of history as a battle between good and evil. It’s much too interesting to reduce it to such categories. Once again, I thank you for your question and your participation last Tuesday. It was a long drive but I thoroughly enjoyed the experience and it is clear to me that Brunswick County is on the right track and ahead of many other counties. Congrats. I am certain that you don’t intend to imply that you are speaking for all Virginians. There are many Virginians with deep roots in the state whose understanding of the Civil War more closely approximates that of Mr. Levin than that of the SCV, including this commenter. Being brought up in a culture does provide valuable insights into that culture, and yes, there is a sense of place in the South for African American men and women, for European descended men and women, for the many Native peoples whose ancestors were in the land for much longer than any of the rest of the population, and for those who are of mixed race as well. There a sense of place in other areas of the country, too, however, and pride. So let’s all try to understand one another a little better and stop exchanging insults. Mr. Levin has been subjected to constant criticism by the SCV for quite a long time now and that is enough. The SCV speaks for the SCV and not for the entire state of Virginia, or for the entire South. Thank you. There is a degree of mobility—moving around a lot—that goes with some career and educational choices. In my case, I have lived in six different states in four distinct regions of the country (South, Midwest, Mid-Atlantic, New England). I know that Kevin can claim at least three states. This tends to diffuse any pride one has about any one place in one’s past, although I know from some of his Facebook posts that Kevin has a lot of pride in his New Jersey roots. You are correct, James. However, in my time here I have grown deeply attached to Virginia and it is through its rich history. I grew up six blocks from the ocean, which provided an overly rambunctious kid with plenty of distractions. It’s only later on that I’ve gone back to explore my roots through a more careful appreciation of the history. In the end, I tend to latch on to the history and culture that surrounds me. The assumption that coming from a particular place gives one a special advantage in understanding it’s past is a quaint, sentimental and naive notion with very little methodological support. While claims of having privileged cultural insight certainly has appeal, the pitfalls of assuming such insight risks missing key changes in culture, sentiment and thought – I.e. one risks projecting one’s own views and sentiments onto one’s historical subject through projective identification. What about the warning that historians must be wary of seeing the world through the refracted lens of their own time and place? Frankly, loving one’s home makes for no better a historian than hating one’s home. Having a “sense of place” would probably make one a better writer, and certainly give one’s life a profound richness, but it doesn’t make one a better historian. The misstep that Williams makes is his insistence on drawing a connection between place and point-of-view. In his little addendum to his post he refers to my readers as my “followers.” What he can’t seem to accept is that my readers come from all over the country including folks whose roots in Virginia are deeper than his own. The same holds for his readers. No doubt, many of his biggest fans have deep roots up north. In fact, one of the most extreme voices comes from a fella who lives in New York state and describes himself as “living behind enemy lines.” One of Richard’s closest friends blogs from Fredericksburg, but is from Pennsylvania. It’s part of his broader struggle to secure Virginia from a continued onslaught from outside. Now that is quaint and sentimental indeed. You are right. Richard seems more interested in bolstering his view of history than he does in exploring how a sense of place did shape Virginia’s history for many different groups of people. There is actually a very interesting question here, but it will inevitably get lost in the political debate. For instance, what if we all step outside of the faithful slave narrative debate and explore why some former slaves did stay in the South when they had the capacity to leave after the Civil War. I feel quite confident it was not because they loved their former masters. Rather, could it be that they had developed a sense of place? Anyone who has had the great privilege to grow up in a community deeply connected to the black community might understand some of this–might even have some insight into it that might lead to research were he or she an historian. History is not a science. It is about people. Real people. Flesh and blood people. Not numbers, statistics, and charts. I know all who read your blog know this, and that truly great histories have been written in the past thirty years. Sometimes, it just helps to remember it, though. Thanks, Kevin. I understand your point and agree with most of what you said. However, I don’t fully agree with you, and find that the belief by some historians that the historian can discern objective truth is naive. Everyone has a point of view and a worldview. And that point of view and worldview affect how facts are processed, no matter how disciplined review procedures are within the historical community, since the historical community itself can become an insular community not always capable of seeing itself. I am currently reading a book on the ancient Anasazi. The book is written by an anthropologist and it is quite good. Yet, the most insightful observation in the book so far has been made by one of the anthropologist’s Native students who is descended from the “Ancient Ones”. The current culture of any culture contains within it pockets of the past. Enter that pocket of the past, understand it without judging, and major insights can indeed be gleaned. I could write a good history of New Jersey, if I went back to the university, got a history degree, and pursued that course of study. I could never understand New Jersey like Kevin does, however. I can admire, respect, and appreciate it, but not understand it the way Kevin does. Or, consider another angle. Did John Hope Franklin’s experiences shape his scholarship or not? How about C. Vann Woodward? Why is this an either/or question? I find creativity and insight in the thinking and work of all who contribute to CW blogs, and in all who write about the CW. Thanks for the comment. You ask an interesting question. Richard Williams brings up his name quite often, but I’ve never heard him inquire into his place of birth and I suspect it is because he is sympathetic to his interpretation. Unfortunately, DiLorenzo’s books are an absolute disaster and that has nothing to do with his personal background and everything to do with his understanding of the historical process. On the other hand, Richard loves to lump academic historians as revisionist/liberal/northerners. Again, its not about place, but about whether he agrees or not. It just seems odd to me that given what I have seen, most inquires about what is called a “sense of place” always seems to be directed at those who question the actions of the Confederacy, not the South, and what causes brought on the Civil War by those who say they are dedicated to “Southern Heritage.” I tend to agree it is an attempt to simply dismiss the individual and his views by short-circuiting an actual and open discussion. As we used to say in the military, merely an attempt of the old tactic of “smoke and mirrors” vice actually facing the argument by means of an open and fair debate about the facts. You nailed it. The argument is what is called a non-starter and usually reflects an inability to engage in honest intellectual discourse. Maybe I’m reading way too much into the questioning and my New York antennae are way too sensitive, but emphasizing in a public forum that Ken lacks a “sense of place” sounds to me like code that is one half-step removed from accusing him of being “rootless” or “cosmopolitan” which is in turn code for… well, better left unsaid. Dan from New York, this is Sherree from Virginia. Could be that my antennae are way too sensitive, too, but the same thought crossed my mind. Maybe that is because I have a lot of friends who are from New York and New Jersey, including my husband. I wouldn’t want to assume anything, though, so as you said, better left unsaid. On the other side of that coin, my husband from New York has a lot of friends in Virginia with whom he worked in a coal mine he started in which he transformed “gob piles” into usable fuel. He gets really upset with me when I call people “rednecks”–which is a term he never uses–since he formed an unbreakable bond with those men down in the mines, and he understands that redneck is a derogatory term. I get upset when other people use the term redneck, so what am I saying…Some who comment on this blog use the term “hillbilly” without blinking an eye, yet believe that they are without bias…As I said in an earlier comment–we all need to try to understand one another a little better–and understand ourselves as well. We really do. Dan, I see your point, but I think that’s reading more cleverness and subtlety into than is actually there. The complaint that Kevin doesn’t have a “sense of place” is really just a way of saying, “he cannot possibly understand the South.” It’s more polite than calling him a “dirty carpetbagger” (which has also been done), but the gist of it is not entirely different. It is, to be blunt, a way of dismissing another person without actually having to debate him on the merits of his position. It’s a deflection rather than a defense. As Kevin points out, the Southron Heritage™ folks never seem to challenge — or even inquire about — the “sense of place” of their own supporters. It’s a question that’s only ever raised about those with whom they disagree. This is a very good point, Andy. We all come to the table with preconceived notions about who thinks what and why. For someone who came of age in the South in the 1960s and 1970s, it is amazing and encouraging to observe that a dialogue is actually taking place. That was impossible in previous decades. The dialogue is divisive and emotionally charged, as Kevin has noted, yet at least it is taking place. Something constructive might result as a consequence. That is my hope. Kevin, Richard Williams, Robert Moore, Brooks Simpson, Ken Noe, Vikki Bynum, Ta Nehisi Coates, you, and many more are greatly contributing to the furthering of this dialogue, so keep talking and one day we might actually realize a more perfect union.